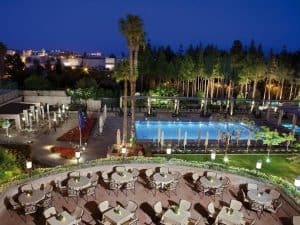 One of Jerusalem’s most famous hotels, the King David offers luxury décor, panoramic views and an outdoor pool. The spacious gardens overlook the Old City, a 15-minute walk away. 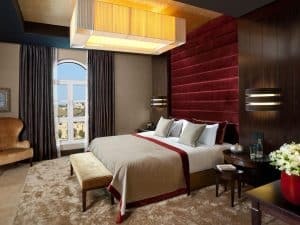 Free Wi-Fi is provided.King David Hotel Jerusalem features air-conditioned rooms with LCD TV and marble bathrooms. Many rooms have views of the Old City and Mount Zion. Traditional Israeli food is served outdoors in the popular King’s Garden restaurant, just one of Hotel King David’s 4 dining facilities. A tennis court and a modern fitness centre are just some of King David’s sport facilities. The outdoor swimming pool and children’s pool are open during summer. Recommended by many travel-guide books and magazines, Hotel King David offers a central location. The Yemin Moshe neighbourhood and the Mamila Mall are a short walk away. This is our guests’ favourite part of Jerusalem, according to independent reviews. 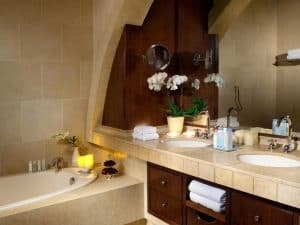 This property also has one of the best-rated locations in Jerusalem! Guests are happier about it compared to other properties in the area.